South Gare is a popular pier that fishes all year for a variety of species. You can fish from both sides of the pier and from the end, but extreme care should be taken when there is a big swell running. A good cast off the end will put you onto reasonably clean ground but the bottom is very rocky close in. You can usually get a bit of shelter on either side of the pier during windy conditions and the inside of the pier all the way along to Paddy's Hole and the lifeboat ramp. Mackerel show between June and October and the pier end can be quite crowded. September to March will see codling, with odd fish into low double figures possible. Whiting, dabs and flounders appear in winter with smaller specimens usually present all year. Bigger flounders tend to come from the inside of the pier with March to April producing some big spawning specimens. Large numbers of coalfish can often be taken during the summer, especially from the more rocky right-hand side. Flounders, whiting and codling show down to Paddy's Hole and the lifeboat ramp. Codling take worms and crabs. Coalfish take worms, crabs and mussels and will also take lures intended for mackerel. Feathers or spinners are the usual method for mackerel, but fishing a bit of mackerel strip on the bottom with a cork on the trace to keep it buoyant will often pick up a lot of fish. Float fishing takes some better specimens, but on crowded days this is not always possible. Seals can be a nuisance here. A standard beachcaster and Abu 6000-type reel will give you the distance and will be fine at most times, but heavier tackle will be more suitable when there is a big sea running. From Redcar, travel along the A1085 Middlesbrough road and take the Warrenby turning and follow the road past the steelworks. You can park towards the end of the pier, but, as always on these more isolated marks, be aware of car thieves. 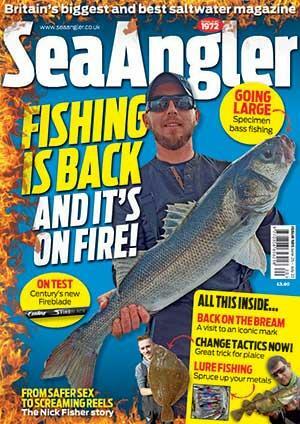 Redcar Angling Centre, 159 High St, Redcar, tel: 01642 474006.